Thank you very much for accessing the Thai Massage LANPO website. 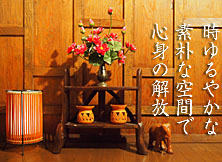 The Traditional Thai Massage LANPO is a Thai ancient massage salon, a one minute walk from JR Sobu line "Motoyawata" station. 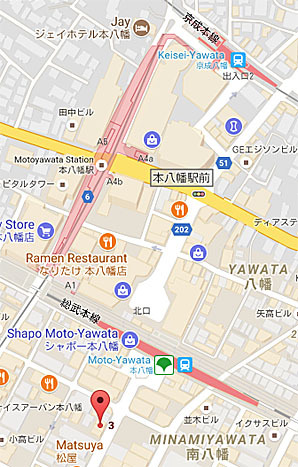 It is about 3 minutes on foot from "Motoyawata" station on the Toei Shinjuku line, about 5 minutes on foot from the Keisei Main Line "Keisei Yawata" station. Thai traditional health treatments that improve blood circulation and make refreshing squirrels Thai massage, oil massage to stimulate fatigue by activating metabolism, relaxingly relaxing and relaxing time can be enjoyed in the spaciously settled salon. Both men and women are open as a shop casually visit us. Of course, those who worked in Motoyawata neighborhood, as well as Koiwa, Ichikawa, Shimosa Nakayama, Nishi-Funabashi, Toei Bridge, Funabashi, Tsudanuma, Makuhari along the Chuo Sobu Line, and also Mizue, Shinozaki, Ichinose, Funabori, If you live along the Metropolitan Shinjuku Line such as Oshima, Nishi Oshima, Sumiyoshi, please extend your legs and visit our salon.